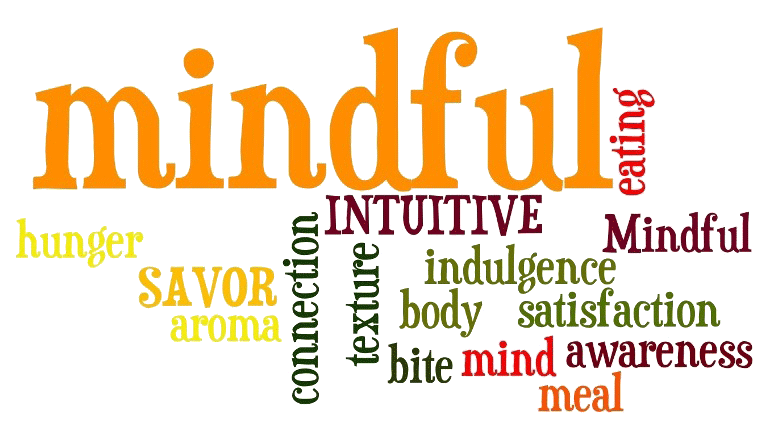 Mindfulness is a state of mind that helps you focus on the present without being judgmental. You do not necessarily have to cut down on your food intake to lose those pounds as you can adjust your mindset by training your mind to be consciously aware of every bite that you take. Often we are not aware of what we munch and nibble on throughout the day casually in office, or while dropping your child to school. Your body continuously gives you cues as to when you are hungry and you need to decode your body’s feedback accurately so that you do not misinterpret them and indulge in impulsive eating. Just like a good night’s sleep is important for your child similarly eating mindfully can help you take care of your health. Sometimes the quantity of food in front of you might lure you into eating more than your hunger or appetite. It is a first reflex to fill your plates as much space as there is and then gobble up all the constituents of your plate. If you eat using a small plate your hunger will be satiated well before time, trust me. You will eat smaller morsels of food with higher chances of getting full. This proverb couldn’t be any truer. When you are hungry, the first thing that you see on the counter top or shelf, you feel like eating it. If you happen to catch sight of a jar of cookies or a bag of chips you are most likely to grab it and savor on them. However, if you make it a habit to keep your cabinets and counters filled with healthy foods you are more likely to get used to the foods available and hence mentally crave for them only. Unhealthy food cravings are also a matter of habit. Have you ever surprised yourself by finishing a whole extra-large pizza by yourself or eating a whole bag of chips while watching your favorite movie or TV series? You are not the only one as it is human nature to end up eating more when they are not paying attention to what they are eating and how much they are eating. Any other external thing like the computer, television or cell phone which is capable of diverting your attention can make you indulge in emotional eating. 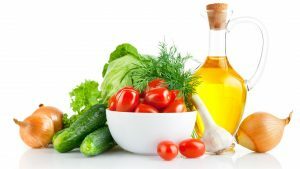 Often senior home care services assist in meal preparation and diet planning of your elderly so that they are not harmed by their diet intake. Just focus on your food solely and do not indulge yourself with screens as it may divert you from your vow of mindful eating. Gone are the days when the dinner tables had to be set with lavish feasts starting from starters through the main course right on to desserts. When you have an array of fine foods right in front of you, you are more than ready to opt for them generously even if you wouldn’t have it normally. It won’t take much time to reach out to the tempting looking chocolate pie, so do not adorn your table with it in the first place. Leave the main dish in the kitchen and only scoop out a morsel so that when your plate is finished you have to make efforts to go and get more. It is most likely that you engage in conversation and by the time you decide to get up to get more, your digestive system would have gotten some time to digest and end your desire for more food. For your convenience, always keep fresh fruits and vegetables on your table so that if you feel there is space you are most likely to opt for them and not more of the main course. You know your body the best and you need to set your own limits to be able to practice mindful eating. Differentiate between actual hunger and just plain impulsive, emotional eating. Space out your meal times and do not give in to late night cravings or eat just for the sake of snacking on something. The importance of healthy mindful eating cannot be stressed enough. Think beyond your hunger and indulge into the deep and fine taste, aroma and uniqueness of every dish.